This Treat was posted on September 20, 2012. This Treat was last posted on September 9, 2013. This Treat was last posted on December 13, 2011. Prepare for Yom Kippur by focusing on spiritual matters. This Treat was last posted on September 8, 2013. These changes are discussed at length in the codes of halacha. The general consensus is that if the change from “King who loves righteousness and judgment” to “the King of judgment,” or any of the other alterations not singled out in this Treat, is not made, the Amidah need not be repeated. However, the acknowledgment of God as King is so important that those who forget to change “the holy God” to “the holy King,” are instructed to repeat the entire prayer.This Treat was last published on September 9, 2013. This Treat was originally published on September 4, 2013. This Treat was last posted on September 3, 2013. 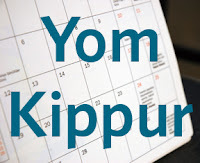 While Rosh Hashana is frequently translated as “new year,” the literal meaning of the Hebrew words is “ head of the year.” According to Jewish tradition, one’s actions on these auspicious days serve as templates for one’s actions in the year to come. For this reason, people make a conscious effort to be especially careful of the words they utter on Rosh Hashana, they pray with proper awareness and are careful to recite blessings over the foods they eat. 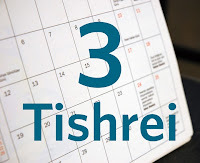 There is much discussion about what “sleep” is referred to in this Talmudic dictum, given that Rosh Hashana is celebrated over a two day period. It is generally understood that sleeping overnight is completely acceptable and that the sages of Israel were referring to sleeping during Rosh Hashana day itself, since that is the time of judgment. Napping, on the other hand, is avoided by many people so as not to set a “sleepy tone” for the rest of the year. While the custom not to nap is a literal understanding of the sages’ words, the statement actually presents a philosophical insight into the importance of Rosh Hashana. The Day of Judgment is a precious opportunity granted to the Jewish people to make a fresh start for the year to come, an opportunity through which one would certainly not wish to sleep. This Treat was posted on September 14, 2012. Go to bed early to have the best focus going into the new year. Treat was published on September 2, 2013. This Treat was last posted on September 2, 2013. 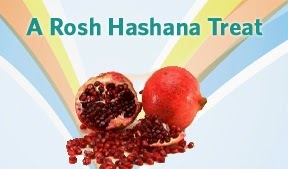 Be creative and incorporate traditional foods such as apples, honey and pomegranates into you Rosh Hashana meals. 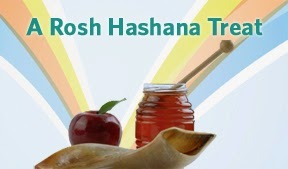 In a less than a week, Rosh Hashana, the Jewish New Year, will be celebrated. While New Year’s celebrations are nice (the Jewish calendar actually has four of them! 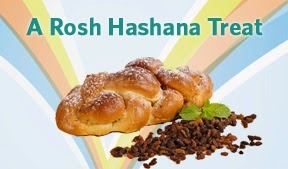 ), Rosh Hashana’s significance is far greater than a mere New Year. It is, in fact known as Yom Hadin, the Day of Judgment, and is a time when Jews focus on recognizing God as the King of Kings. This Treat was last posted on September 22, 2011. Rabbi Jochanan (as quoted by Rabbi Kruspedai) clarified that on the New Year there is a book for the completely wicked, a book for the completely righteous and a book for those in the middle. According to Rabbi Avin, the existence of these books is alluded to in Psalms 69:29: “Let them be blotted out of the book of the living, and not be written with the righteous.” According to Rabbi Nahman ben Isaac, Moses actually refers to one of these books in Exodus 32:32: “...blot me, I pray You, out of Your book which You have written” (Rosh Hashana 16b). Both of the proof-texts brought in the Talmud appear to refer only to a Book of the Righteous. 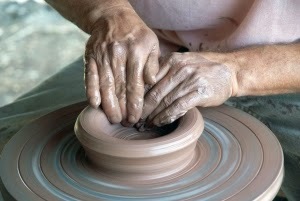 Since tradition has it that the world is balanced between extrev must also exist. This, of course, leaves a gap for those who are neither completely righteous nor completely wicked...in other words, the majority of humanity. Thus it could only be assumed that there was a third book. This Treat was last posted on August 20, 2013. When you run into a friend, don't forget to wish them a good new year (even if you can't remember the Hebrew phrase). Rashi, commenting on Genesis 1:4, explains that God “saw that it was not proper for the wicked to use it [the first light] so He separated it for the righteous in the world to come.” Obviously, the light that Rashi is describing is not our everyday light. That first light is frequently construed to be a form of righteousness “spiritual light.” In fact, the Midrash in Bereshit Rabbah explains the first light as the light that shone when "God cloaked Himself in a white shawl, and the light of its splendor shone from one end of the world to the other" (Bereshit Rabbah 3:4). This description implies that the light refers to a Divine radiance, a pure form of righteousness. But what about the rest of us, the not so righteous? Proverbs 20:27 declares that “the soul of man is the candle of God.” Just as a candle holds a small bit of light, each human is invested with a spark of the Divine light with which we are able enlighten the entire world. This Treat was last posted on September 3, 2010. This Treat was previously published on Augusts 30, 2013. Use the Divine light within you to guide you in your actions. *This Treat was previously published on August 22, 2013. Rosh Hashana literally means "Head of the Year" because Rosh Hashana marks the point when we begin the new calendar year (e.g. from 5774 to 5775). This Treat was last posted on September 10, 2012. If you have determined behaviors you wish to change in the new year, set up strategies to be successful. Today, September 17, is Constitution Day, in honor of the ratification of the United States Constitution in 1787. The Constitution was a radical document at that time, and one of the most unique aspects of it was its recognition that a person’s religious beliefs should not cause him/her to be denied political rights. To understand the significance of this law, one must know that even into the 19th century, a person seeking public office in a Christian country often needed to swear on a Bible and affirm that they were faithful to church and state. Article VI made it clear that religion would not hold a person back from Federal office. Because the framers of the Constitution were careful to maintain the rights of the individual states, the prohibition against requiring a religious test or oath was for Federal positions only. Each state had a right to determine its own law, and eight states did incorporate a religious requirement for their officeholders: Arkansas, Maryland, Mississippi, North Carolina, Pennsylvania, South Carolina, Tennessee, and Texas. Some of these states have removed these laws, while other simply no longer enforce them. As the High Holidays begin, be grateful for living in a country that protects one's freedom of religion. One of the dominant themes of the High Holiday season is repentance. In Hebrew, repentance is known as teshuva and it is a multi-tiered process that requires more than just feeling bad about one’s transgressions. Like almost all Hebrew words, teshuva is based upon a three letter root. The root letters of teshuva are shin-vav-vet. These letters are also the building blocks for words related to returning. If teshuva is a process of repenting - of regretting a wrong action, confessing it, apologizing and taking action not to repeat that same error - how is it related to the idea of returning? According to tradition, each time a person transgresses a Jewish law, his/her neshama (spiritual soul) is distanced from its connection with the Divine. Acts of repentance bring one back closer to that connection. In the Torah, God clearly foretells that the Children of Israel will sin and stray from Torah observance, and that they will suffer as a result. The Torah also predicts that the Jewish people will return to the ways of the Torah and that when they are ready to do so, their repentance will be readily accepted. Much of the language of repentance in the Torah is written in the plural form and speaks collectively to the Children of Israel. But the teshuva spoken of at this time of year is attainable for all individuals as well, as it says in Deuteronomy 30:2, “And you (singular) shall return to the Lord your God and hearken to His voice.” In this verse, the use of the singular is significant, reminding every Jew that teshuva is within his/her personal reach. Repenting, prayer and charity are the three keys to a successful new year. Yiddish literature entered its modern era in the 1860s, when Jewish writers began using the Germanic Jewish language to compose stories and poems. Many of the early writers of this era are still famous, such as Shalom Aleichem (Solomon Naumovich Rabinovich 1859-1916) and Isaac Leib (I.L.) Peretz (1852-1915). Among those who made their mark in Yiddish literature was Yente Raybman Serdatzky. Born on September 15, 1877, in Lithuania, Serdatzky was the daughter of a scholar who supported his family by selling used furniture. Yente Serdatzky was given both a Jewish and a secular education, and was raised in a home that was a gathering place for Kovno’s Yiddish writers. After spending a few years in Warsaw, Serdatzky emigrated to America (leaving behind, it should be noted, a husband and three children). She went first to Chicago and then settled in New York, supporting herself running soup kitchens as she worked on her writing. Serdatzky published stories, sketches and one-act plays in a variety of Yiddish periodicals. After a fight with Abraham Cahan, the editor of The Forward in 1922, Serdatzky stopped writing for 27 years. Eventually, she began publishing again in the 1950s, mainly in Nyu Yorker Vokhnblat . Serdatzky’s work often focused on immigrant women with similar backgrounds to her own. The lives of the women Serdatzky portrayed were not easy. The ideal world they sought to build was unattainable, they were often exploited by the men in their lives and alienated by the male activist with whom they sought to partner in action. Yente Serdatzky passed away on May 1, 1962. Read Yiddish literature (in translation) to get a flavor of the lost world of pre-World War II Eastern European Jewry. Building permits, site surveys, inspectors and codes are all part of the jargon when it comes to construction and land development in the 21st century. While frustrated homeowners may complain of the bureaucracy that these rules create, the fact is that they were designed for the protection of property owners. Whether intentional or not, these laws are also an extension of the Torah’s prohibition not to move the boundary-markers of one’s fellow. The act of moving boundary-markers is considered so insidious that God instructed it to be included among the actions of the accursed. In Deuteronomy 27, Moses instructed the Israelites that following their entry into the Promised Land, they were to position half the tribes of Israel on Mount Gerizim and the other half on Mount Ebal. The Levites were then to call out a series of curses, among which was “Cursed be he that removes his neighbor’s boundary marker”(Deuteronomy 27:17). Perhaps this act is ranked as so offensive because it is both audacious and sneaky at the same time. It is highly likely that the markers were moved in the middle of the night, enabling the theif and perpetrator to point to the physical facts of where the boundary-markers are now set. For this double perfidy, the perpetrator is especially cursed. Be honest in your dealings with all people. Have you ever been to a kibbutz? If you have toured Israel, or thought of touring Israel, then you know that a kibbutz is a collective agricultural settlement based on a Communist/Socialist philosophy. You may, however, have never heard of the other popular type of cooperative agricultural settlement - the moshav. The primary distinction between a moshav and a kibbutz is the independence of the members. The first moshav, Nahalal, was officially established on September 11, 1921. Nahalal was built on land owned by the Jewish National Fund in the Jezreel Valley, an area known for its fertility and for its mosquitoes (and malaria). The name of the settlement is the same as that of a Biblical village in the tribal territory of Zebulun (Joshua 19:15). The settlement of Moshav Nahalal was initiated by immigrants from the Second and Third Aliyah (waves of immigration to Israel from Europe). Many of the settlers of Nahalal who had previously lived on a kibbutz were attracted to the communal spirit of kibbutz life but wanted more independence. On the Moshav, members leased and worked their portion of farm land - as opposed to the land being communally owned and farmed. Another major distinction of moshav life was the maintenance of the traditional family structure. Whereas on the kibbutz children were raised in communal housing, the moshav children lived with their parents. The philosophy of the moshav was reflected in the architectural design of the moshav, which placed community buildings surrounded by family homes as the center of concentric circles. In addition to being the first moshav, Nahalal was also known for its Girls’ Agricultural Training Farm, which was established in 1929 by the Women’s International Zionist Organization in order to help female immigrants from Eastern Europe acclimate to what was required of them to make the Jewish homeland flourish. In the 1940s, it became a co-educational farming school of the Youth Aliyah movement. As the holiday season gets busy, be considerate of the needs of your family. This Treat was last posted on September 19, 2011. Be sincere when you apologize. When we think of California today, we think of perfect weather, beautiful beaches and Hollywood stars. Before these modern dreams, however, California was a land of wild settlers who had come to seek their fortunes in gold. While there were some early Jewish settlers along the western coast, major settlement in the area began only after gold was discovered in 1848. Treacherous as the journey west was, whether by land or by sea, thousands arrived to seek their fortunes, either as miners or by supplying the miners. The population of California grew so quickly that by September 9, 1850, California was able to become the 31st state of the United States. At the time of statehood, the largest city of the state was San Francisco, which was the location of the primary Californian Jewish community of the 19th century. The first organized High Holiday services took place in San Francisco, and in Sacramento, in 1849, and, by 1851, there were two established congregations: Shearith Israel (English, Polish, Sephardic) and Congregation Emanu-El (French and German). During the boom years of the mid-19th century, the Jews of San Francisco flourished. It was estimated that in the 1870s, Jews made up 7% of the city’s population. * From early on, Jews were included and even welcomed in the municipal government. In 1887, San Francisco’s mayor, Washington Montgomery Bartlet, who was of Sephardic descent, was elected governor of California. Alas, nine months after taking office, the first (and only) Jewish governor of California died of Brights Disease. By the turn of the century, the boom of the gold rush had subsided, although California’s population continued to grow. Thanks to the state’s early history, however, Jews were, by then, an established presence within the state’s population. 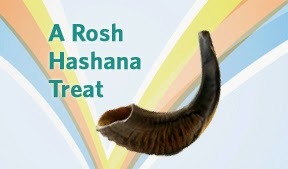 As Rosh Hashana is in just over two weeks, make certain to have plans for where to attend services. Today, September 8, is the United Nations Organizations of Education, Science and Culture (UNESCO) International Literacy Day. Established in 1965, International Literacy Day is meant to bring attention to the importance of literacy and education, and to the fact that there are still millions of adults around the world who lack basic literacy skills. Literacy, education and a schedule of study have always been top priorities in Jewish life. Traditionally, the teaching of the aleph-bet, the Hebrew alphabet, begins at the age of three. The verses of the Torah are taught beginning at age five, Mishna (the oral Torah) at age ten (Pirkei Avot 5:21). Indeed, as far back as the days of the Talmud, the Jewish people established a system of formal education when Joshua ben Gamla (1st century B.C.E.) “came and ordained that teachers of young children should be appointed in each district and each town”(Talmud Baba Batra 21a). Adult literacy is just as valued in Jewish life as basic education. While until recently only the best and brightest (who could afford it) went on to advanced Torah schools, known as yeshivas, today, everyone is encouraged to continue studying the Torah and the Talmud throughout their lives. While the Torah’s directives for Jewish education are understood to be primarily focused on boys, as men have different obligations regarding studying Torah, Jewish women in most cultures had a considerably higher level of literacy than other women. In Europe, where they were not taught the “Holy Tongue” (Hebrew), Jewish women were often literate in Yiddish or the language of the country in which they resided. Today, many Jewish women study Torah on an advanced level. As the school year gets into full gear, see to it that the children in your life are also enrolled in a Hebrew school program. Ben Dordia put his head down and wept until he died, at which point a heavenly voice declared that Rabbi Eleazar ben Dordia had earned his place in the World to Come. It is interesting to note the Talmud concludes this story with the reaction of the sage Rebbi, who wept and said “‘One may acquire eternal life after many years, another in one hour!” (Avodah Zara 17a). One of the most important parts of the teshuva process is acknowledging and confessing one’s transgression(s). But, just stating one’s guilt, or, in ben Dordia’s case, admitting that he had sinned and seeks mercy, is only a first step. One has to truly feel regret for the improper actions. Ben Dordia finally realized that just as he alone was responsible for his actions, he alone was responsible for his repentance. Why did Rebbi cry? Because ben Dordia’s repentance was so honest and heartfelt that it was immediately accepted. It was, indeed, so pure that he had achieved an almost unattainable level of repentance. Shabbat is a time for joy. This Shabbat, contemplate all the things you are doing right in your life. Will I Forgive You For What?